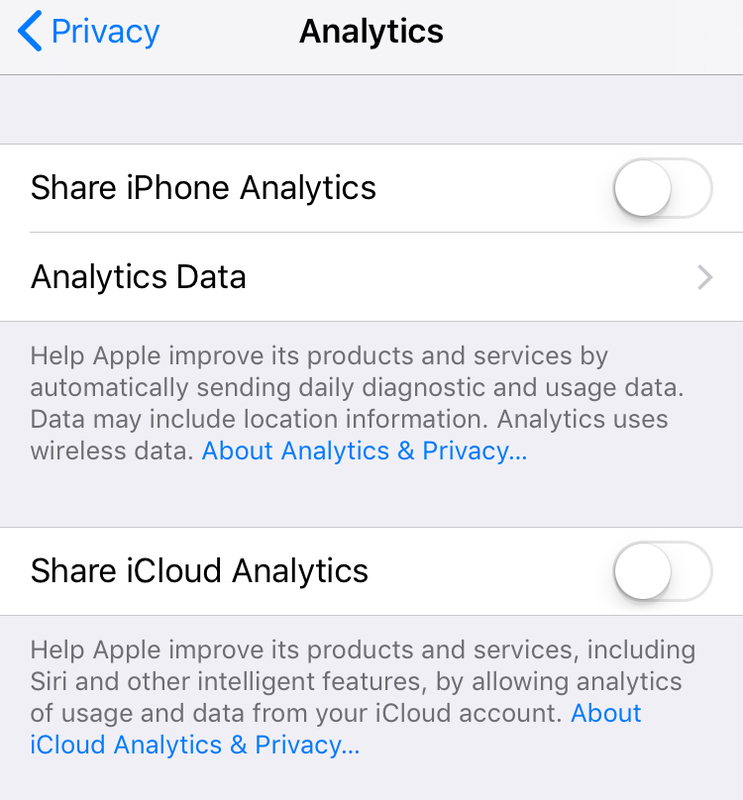 Following up on my post on browser privacy settings, here's a brief rundown of all the knobs I've turned on my iPhone in an attempt to improve my security and privacy on this device. If you have additional recommendations, please let me know via email or on Twitter. 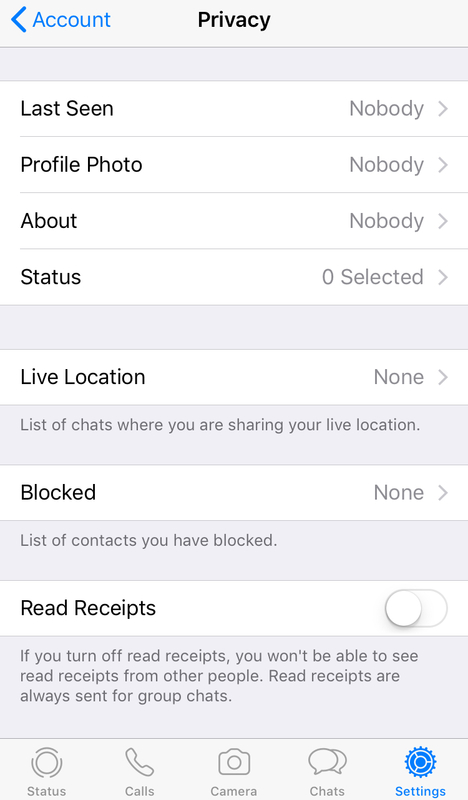 Tap your name to reach settings for Apple ID, iCloud, iTunes & App Store. 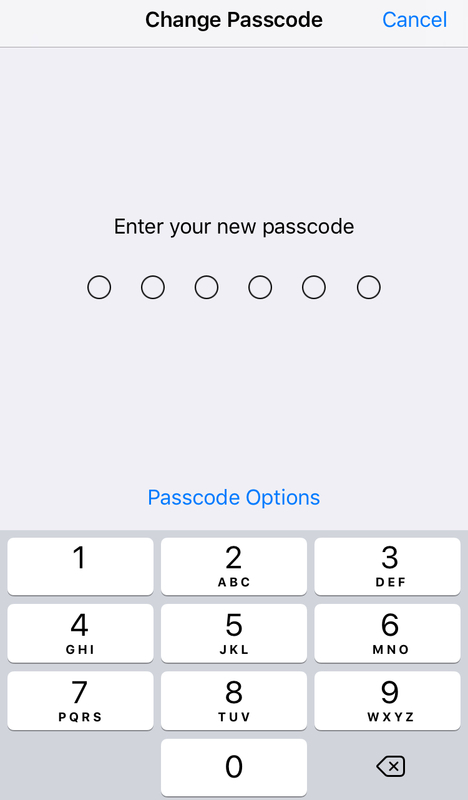 Under Password & Security, enable Two-Factor Authentication and set a Recovery Key. Store the recovery key in your password manager. 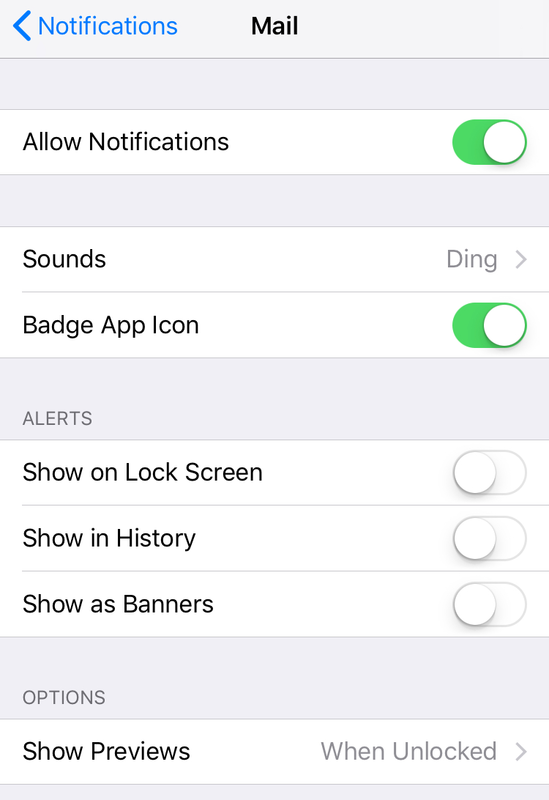 Notifications: I have almost all notifications turned off. This not only seems like a much healthier approach to carrying around a constant-interrupt-machine, but it also avoids leaking private information on your lock screen. For apps that I do allow notifications, I usually have those to only show previews when unlocked, to not be persistent, and to have history turned off. Software Update: always a good idea to check for updates. I'm subscribed to Apple's security-announce mailing list, so when I get the security advisory, I usually go and update my phone right away. Under Airdrop, set Receiving off. Like with Bluetooth above, I can easily enable this when I expect somebody to airdrop something to me. 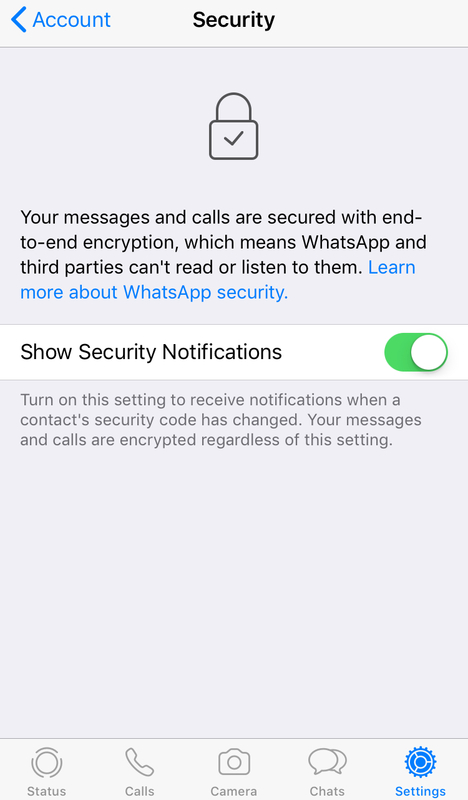 Note: this may get switched on when you use Airdrop to e.g. send something, so may need to be toggled off again afterwards. 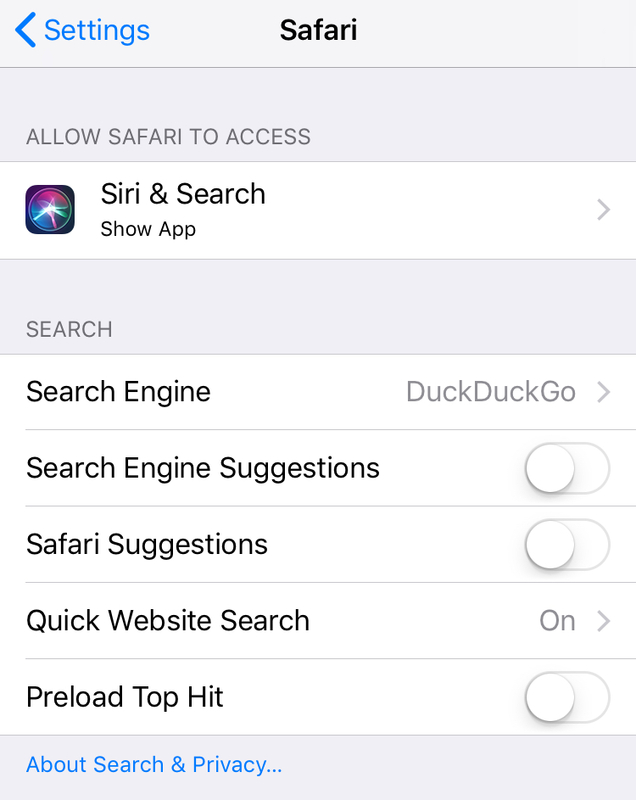 Under Siri & Search, turn just about everything off. 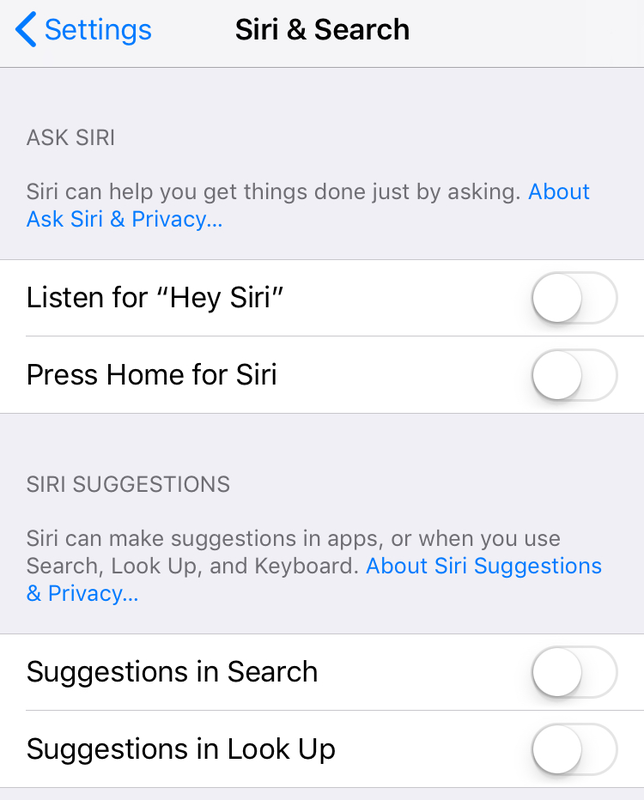 I never use Siri, so no need to have my iPhone constantly listen in on me. 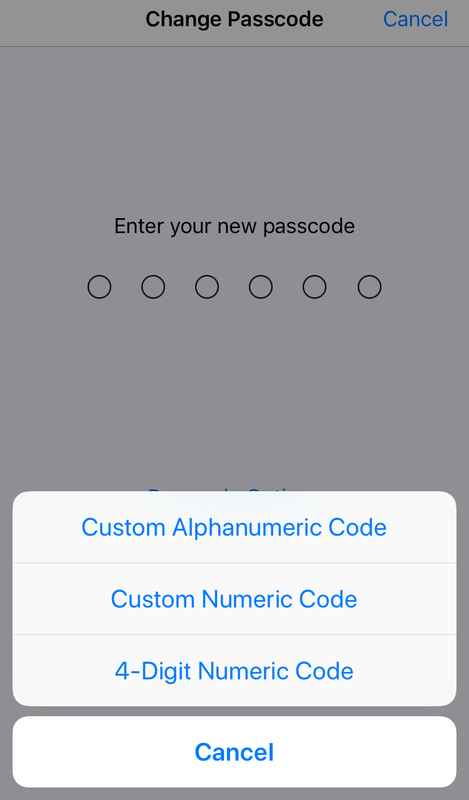 Touch ID & Passcode: Ok, here things get interesting. 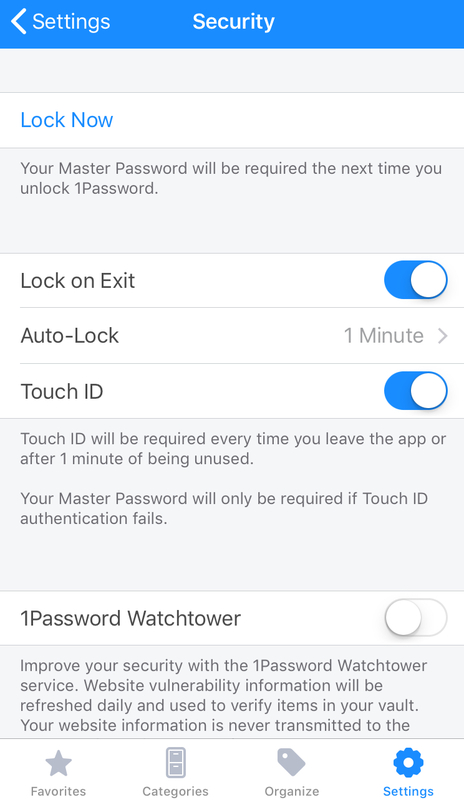 I happen to like Touch ID and use it to unlock, to allow Apple Pay, and iTunes and App Store. I also have multiple fingerprints stored, not all of which are mine, but all of which are actually fingerprints (even though you may choose other body parts). Lastly, I set 'Erase Data' to be enabled. Remember: this is not 10 rapid failures, as you might easily have your kids trigger, but 10 successive failures over increasingly longer time intervals. 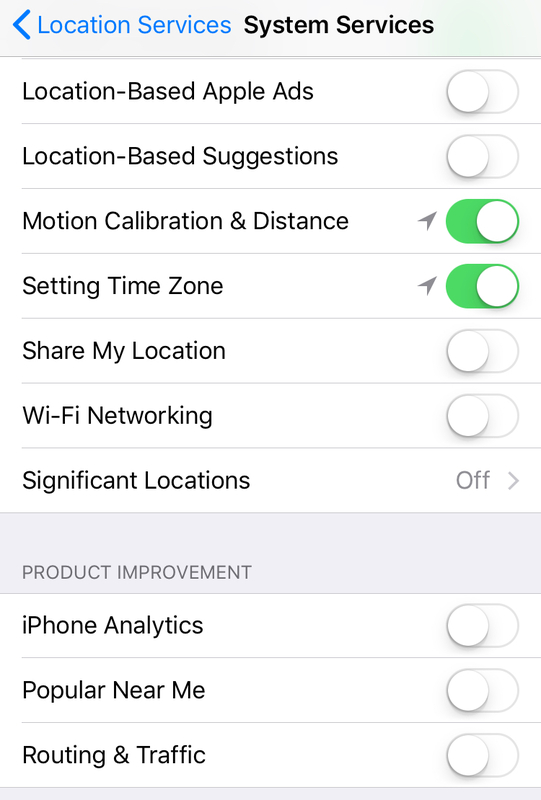 If Location Services is on, your device will periodically send the geo-tagged locations of nearby Wi-Fi hotspots and cell towers to Apple to augment Apple's crowd-sourced database of Wi-Fi hotspot and cell tower locations. Under Mail, disable 'Load Remote Images'. Under Phone, scroll down to 'SIM PIN' and reset / enable a PIN. (When changing it for the first time, you may need to provide the default of 1111.) This means that your SIM can't be used to make phone calls or to get e.g. addresses or contact information stored on your SIM. Under Messages, I toggle off 'Send Read Receipts' and set the message history to 'Keep Messages 30 days'. While here, periodically 'Clear History and Website Data'. 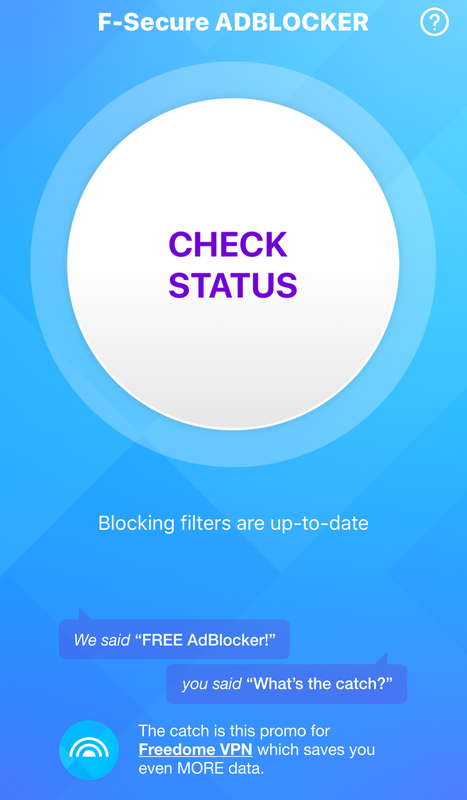 1Blocker. 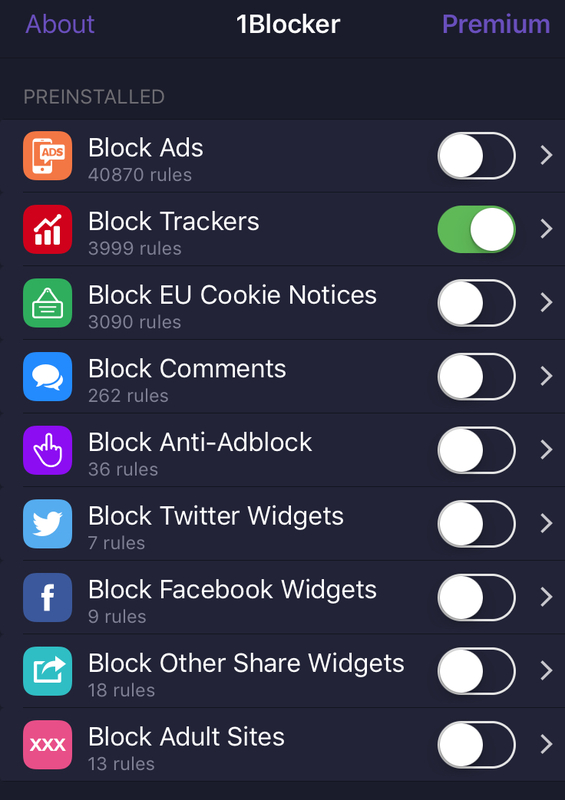 In the free version, you have to pick and choose which content you want to block (Ads, Trackers, Comments, Widgets, etc.). 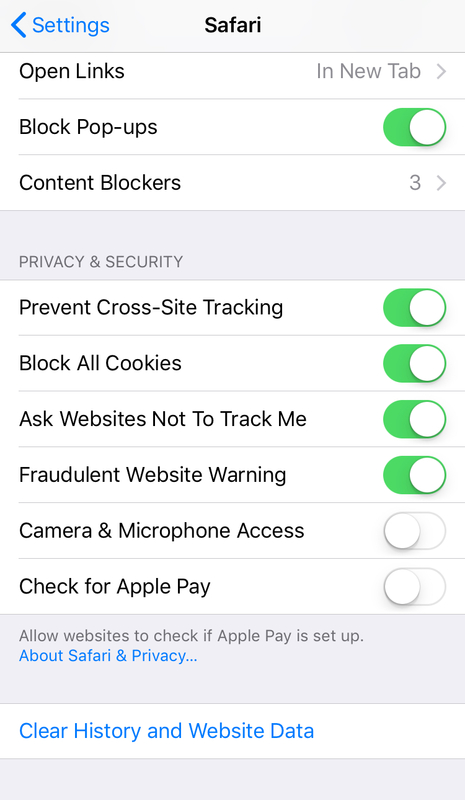 When in doubt (and when you're too cheap to buy the full-fledged version), enable blocking of all trackers. 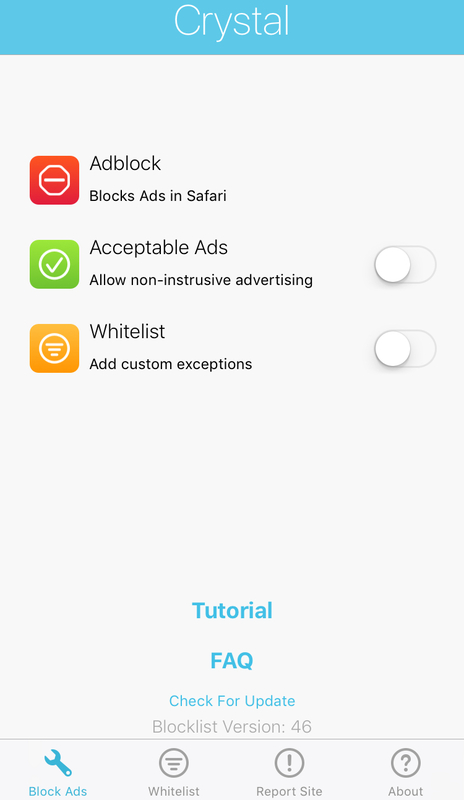 AdBlocker by F-Secure. Install, enable, done. Brought to you by F-Secure, which inherits some trust and good will from this guy. Crystal. 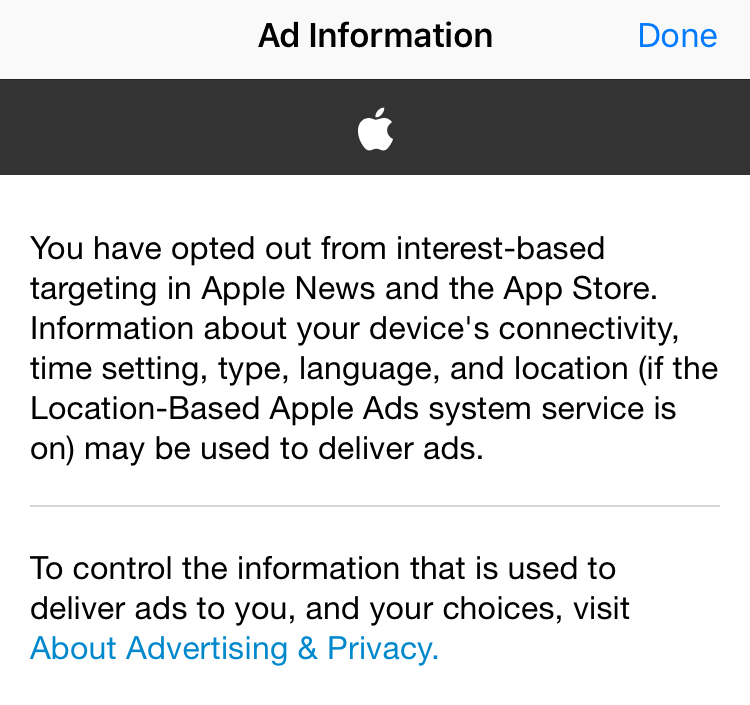 Note: you want to make sure to disable "Acceptable Ads" in Crystal's preferences. After that, it's also something you don't need to think about ~ever. 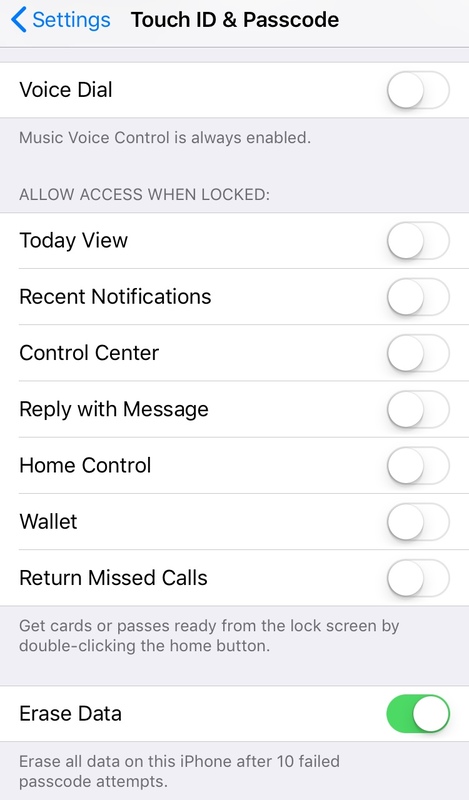 For Duo Mobile, preferred 2FA app, I disable 'Send Usage Data' in the preferences. As any self-respecting #infosec geek, I of course have Signal installed. 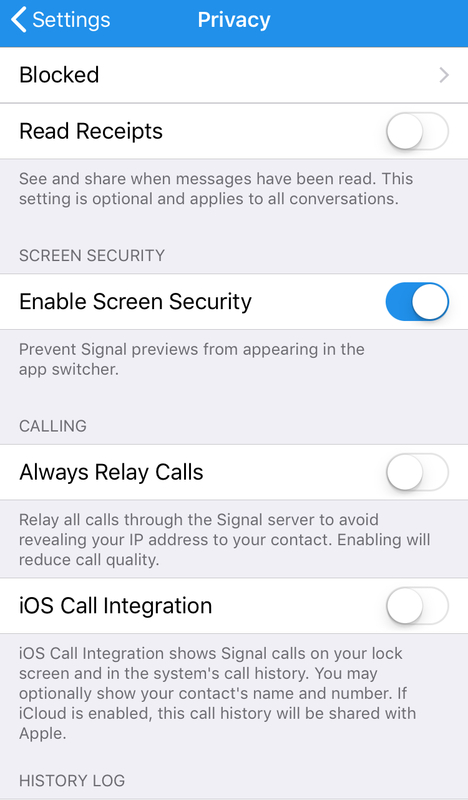 Under 'Setting->Privacy, I toggle off 'Read Receipts', enable 'Screen Security', and disable 'iOS Call Integration'. While here, I 'Clear History Logs' every once in a blue moon. 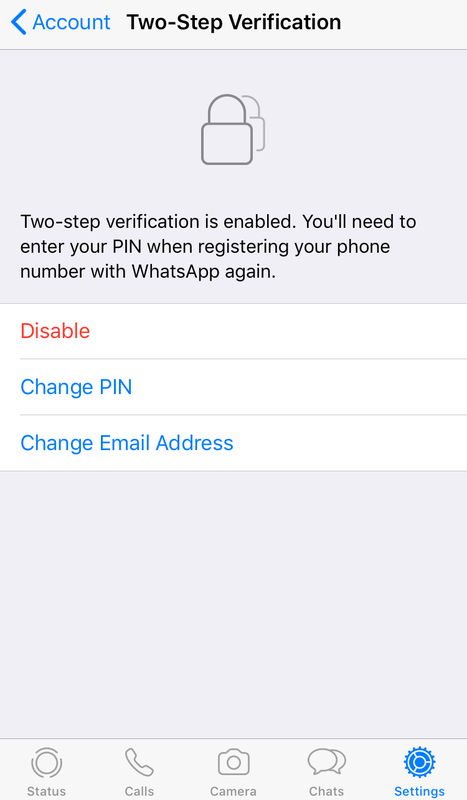 Finally, there's WhatsApp, for which I have just about all the same settings under 'Settings->Account' toggled that you'd by now expect: 'Live Location' and 'Read Receipts' are disabled, 'Show Security Notifications' is enabled, and of course 'Two-Step Verification' is turned on. And that's pretty much my iPhone setup. I try to keep the total number of apps installed at a minimum, and for any app I do install, I review the access it needs (e.g. access to the camera, microphone, location services etc.). 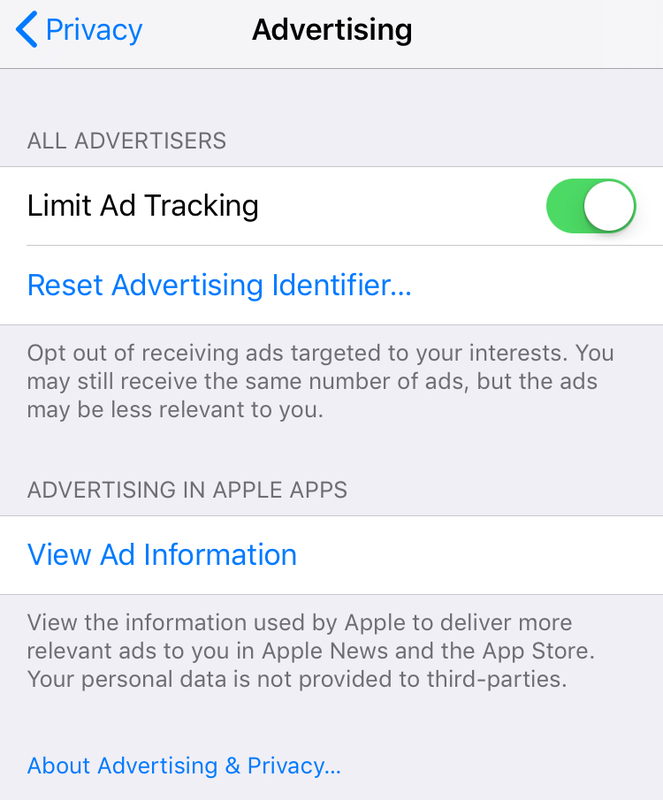 If I don't use an app regularly, it's likely to get deleted quickly. You can compare my browser privacy settings here, and if you have any comments or want to make suggestions or tell me that something I'm doing here is particularly stupid, reach out to me via email or on Twitter.